On 28 January 1942, the Eighth Air Force was activated in the adjacent building, a National Guard Armory at the time. Having moved to England, the Eighth was ready on 17 August to test the theory that daylight bombing raids could be made with profitable results. Twelve B-17’s participated in this mission, striking the railway marshalling yards at Rouen, France, and returning safely to their home base. This highly successful mission established the pattern for the strategic bombardment of Nazi Germany — the Eighth Air Force by day and the RAF by night. Under the leaderships of Generals Carl A. Spaatz, Ira C. Eaker and James H. Doolittle, it flew over 600,000 sorties delivering over 700,000 tons of bombs and destroying over 15,000 German aircraft. On one single mission, December 24, 1944, it was able to send 2,000 B-17 Flying Fortresses and B-24 Liberators and nearly 1,000 fighters in the Battle of Germany. The renowned winged-eight, the emblem of the Eighth Air Force, was designed by former Air Force Major Ed Winter, a native of Savannah. 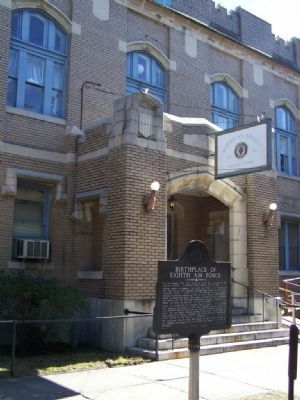 The building now houses American Legion Post 135 at 1108 Bull Street. Savannah, Georgia is also home to the National Museum of the Mighty Eighth Air Force. The museum is located at 175 Bourne Avenue, Pooler, Georgia 31322, phone number (912) 748-8888. The museum is open seven days a week from 9 a.m. to 5 p.m. 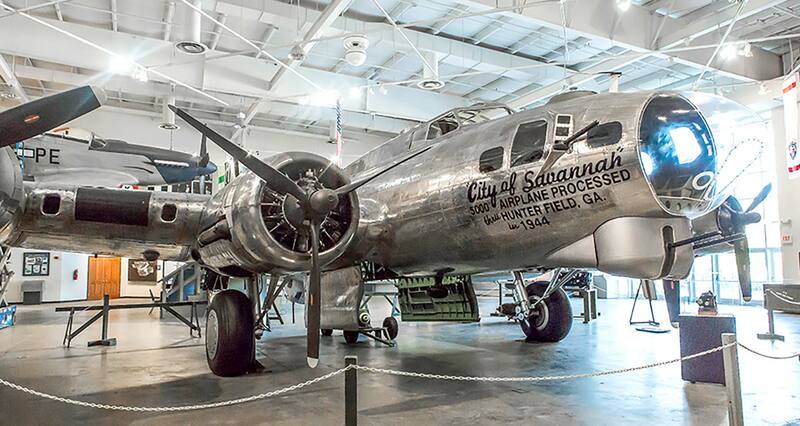 It houses many WWII exhibits and the B-17 City of Savannah, which is undergoing complete restoration. The City of Savannah is currently on display in the museum’s Combat Gallery. By thearrowheadclub in Eighth Air Force on June 7, 2017 .